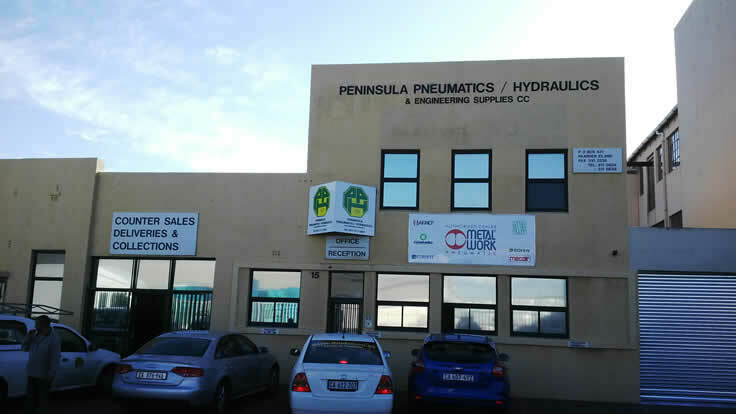 Peninsula Pneumatics / Hydraulics & Engineering Supplies cc is a business built on sound product knowledge, hard work and integrity – three qualities which owner and founder Josh Jooste believes in strongly, and which is shared by all staff at the company. Established in 1990, the company has grown from strength to strength and today owns a 1000m² building in Paarden Eiland, Cape Town which houses the offices, stores and workshop area. Or, send us your details and we will get in touch with you.